Dream it. Build it. Live the Dream. 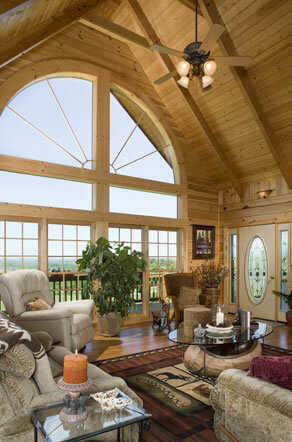 You will find the finest custom log homes in North Carolina at Bear’s Den Log Homes. 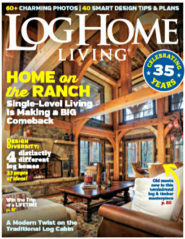 We specialize in Log Homes, Timber Frame Homes, Hybrid and Craftsman Style Homes. Over the last several years of building in several states and in unique locations, we have learned that it doesn’t matter whether your log home dreams take you to a tranquil setting beside a lake, a cozy cabin nestled in the woods, or a long-range spectacular mountain view, Bear’s Den Log Homes can help make your dreams of a “log home lifestyle” a reality. 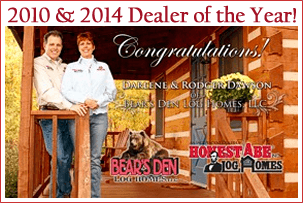 Bear’s Den Log Homes prides itself on exceptional customer service. We offer a “HELP BUILD” program and look forward to helping you plan and build your future home. Our services include assisting you in locating property (if you have not already done so), obtaining financing, selecting a building style and materials, custom designing your home, and selecting a licensed and qualified contractor. We work together with you to keep you on a realistic budget. We will be with you to help find and select all interior materials needed and promise to be right there throughout the build process to the day you receive your keys to your new home. At Bear’s Den Log Homes, we believe in providing assistance during each and every step in the process. 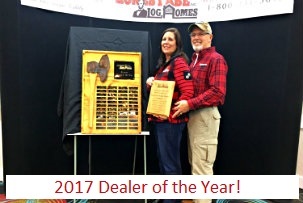 We are also an authorized dealer for Honest Abe Log Homes for Central and Western North Carolina and Northwestern Georgia and are proud to be members of this respected and well-established organization. Our goal as log and custom home dealers in North Carolina and Georgia is to assist our customers in finding and creating the home design that perfectly matches your dream home. We offer hundreds of layout variations within our 40+ standard floor plans. Bear’s Den Log Homes welcomes the opportunity to help you design and build your dream home to your specifications even if you prefer to customize your own plans and would like to combine log and timber frame into your home, we can bring your design to life. Build on a basement, add decks and porches, design a cozy loft, the options are as open as your imagination. Thank you for visiting our website. Enjoy your tour through the many photos we’ve shared, while learning more about the possibilities log and rustic home living can bring to your life. We hope it will inspire you to reach for your dream of owning your own custom home. Please contact us by phone or email to get started building your dream. Sign Up to receive Newsletters about all of our upcoming events!